2018 San Marino MotoGP Friday Results—Ducatis were in control after a somewhat fraught first day at Misano, with threatening weather suggesting that today’s top 10 will be crucial for Saturday’s Q2, and both Marc Marquez and Valentino Rossi not in the frame after the morning session. 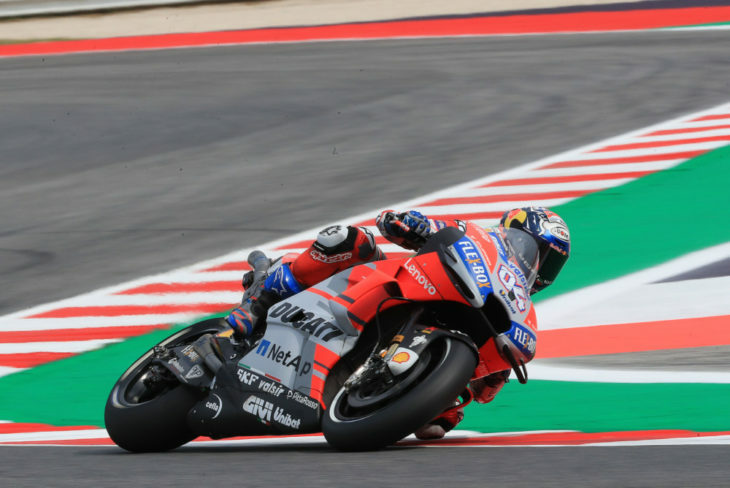 Dovizioso had a good first day at a track he normally struggles with. 2018 San Marino Moto2 Friday Results—The looming clouds did no more than loom in the subsequent Moto2 practice, where times were slower than the lap record but typically close, with 17 within one second of pace-setter Marcel Schrotter (Dynavolt Kalex). 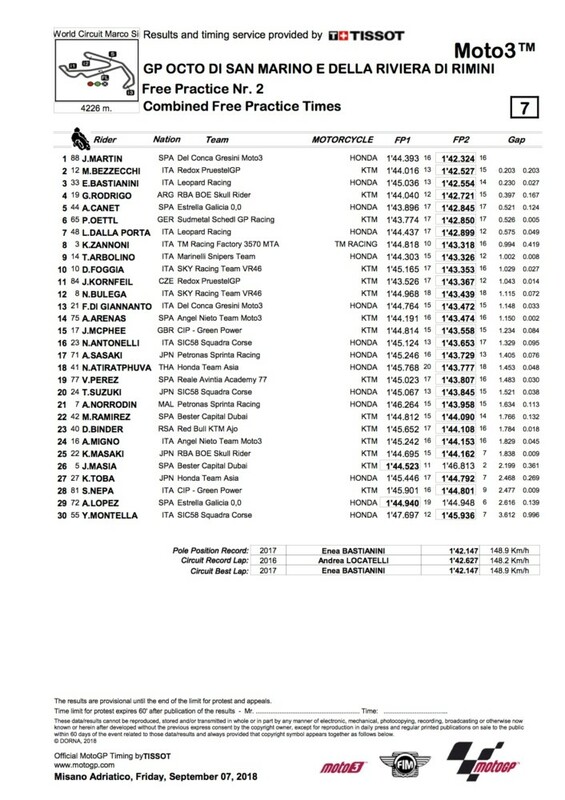 Schrotter headed an ultra-tight Moto2fieldd at Misano. 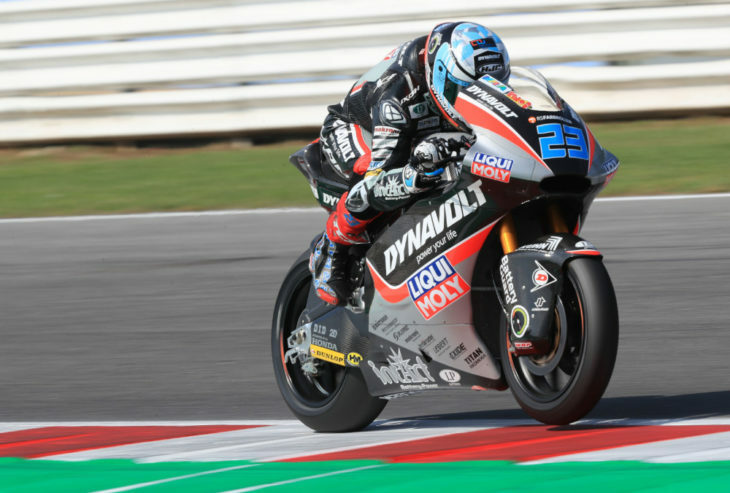 Rookie Joan Mir (EG-VDS Kalex) was third, ahead of teammate Alex Marquez and rising star Luca Marini (SKY VR46 Kalex); then veteran Simone Corsi from Jorge Navarro, who crashed in the afternoon but was eighth from his morning time. 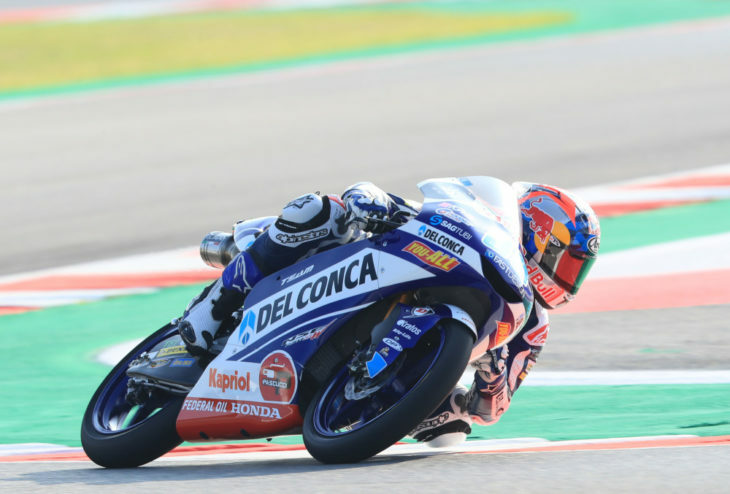 Ninth was former Misano winner Lorenzo Baldassarri; then Spaniard Augusto Fernandez (all Kalex); before the KTMs of Dominique Aegerter and Red Bull-backed title contender Miguel Oliveira, in 12th. 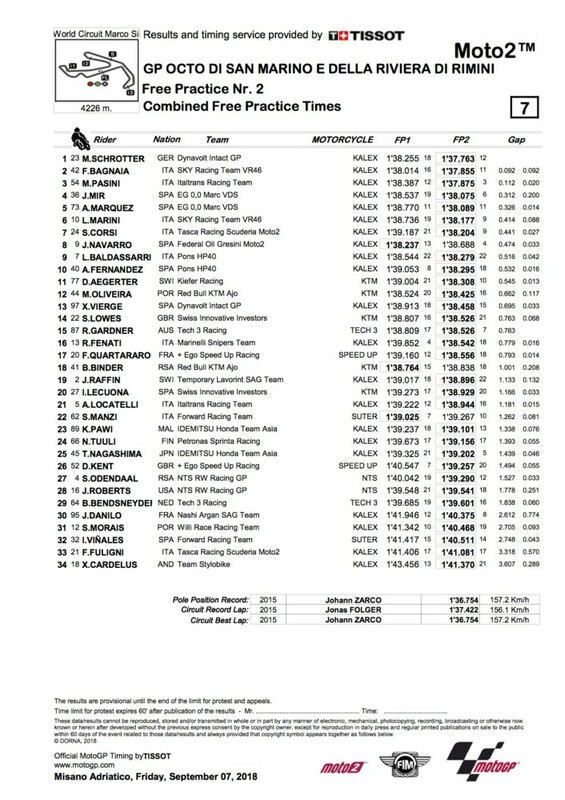 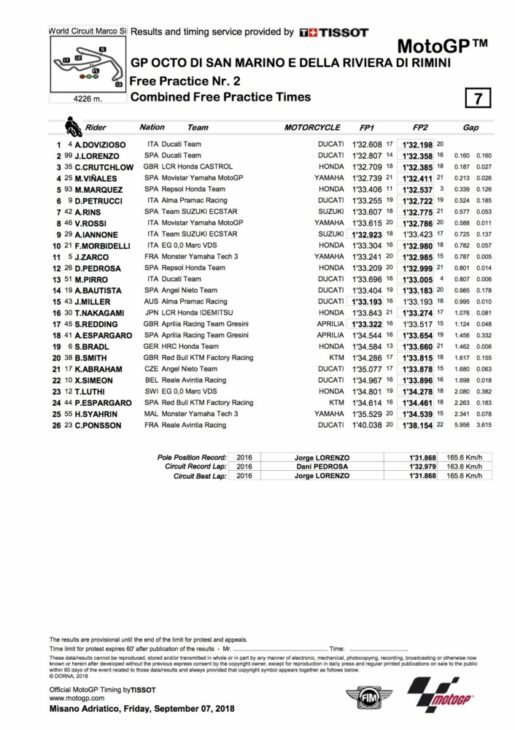 2018 San Marino Moto3 Friday Results—In the earlier Moto3 practice, five of the championship top six rose to the top, with former points leader Jorge Martin (Del Conca Honda) holding the advantage over current leader Marco Bezzecchi (Redox KTM) and a clutch more Hondas by two tenths of a second. Qualifying and practice maestro Martin was once again on top after Friday.